NZ's next generation Ultra Fast Fibre broadband Internet connectivity at blistering download and upload speeds with cost effective plans. Flexibility - We've got business broadband plans to suit organisations of all shapes and sizes. 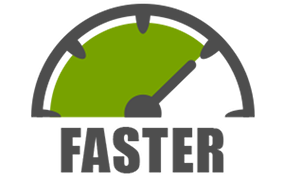 Speed - VpsCity's aDSL, vDSL or Business UFB Broadband gives you fast speeds and large data packs, so you can do business better. Contract - All business plans are on a fixed term contract for minimum 12 months with high-performing fixed internet connectivity options. All prices are in New Zealand Dollars (NZD). All products are Exclusive of GST. All products are Exclusive of GST. We offer high speed data transfer rate. Conference in full HD with no interruptions with no disruptions to others on the office network. Run your office phone system in the cloud! Check your account usage online. Enjoy broadband service 24/7 at consistent output without disrupting. You can customise your current package. Our normal contract term is minimum 12 months. We guarantee our core network will be available 99.9% of the time. We can offer both Rented and Managed Routers. The DrayTek Vigor130 is suitable for Home Office / SOHO Connections with lower traffic and voice volumes. If your business has more than 20 devices on the network (remember to include the wireless ones) we suggest upgrading to the Mikrotik RouterBoard. It is designed for small to medium businesses. Add a Ubiquiti Access Point if you need WiFi in the office. Pre-configured router for ADSL / VDSL / UFB for Home Office / SOHO connections. 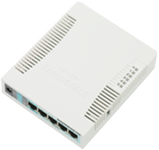 Mikrotik RB951G is a wireless SOHO Gigabit AP with a new generation Atheros CPU with five Gigabit ethernet ports. 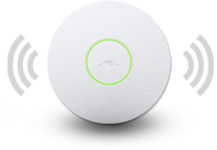 Ubiquiti Wifi - managed, for use with Cisco to manage your connection more effectively. ADSL2 is the most affordable broadband solution. With a scope of information bundles accessible from 25GB to boundless, there's something here for everybody - whether you are an easygoing surfer, an information requesting super-dooper force client, or somebody in the middle. Uses a standard copper phone line to transmit data between the computers and devices in your home and the internet. 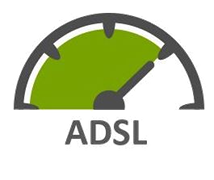 ADSL2+ is the faster variant of the standard ADSL but is only available if you live within 2km of an exchange (A physical infrastructure through which internet service providers exchange internet traffic between networks). ADSL2+ is at a speed of around 11Mbps (megabits per second). This is still 200 time quicker than dial-up speed and is quick enough for downloading and streaming TV and videos. It’s easy to install, it’s suited for most businesses in New Zealand and is perfect for your general everyday uses. Innovation wrenches up the paces accessible on your standard copper lines. Quicker downloads mean better gushing feature, smart skyping, and an inside and out awesome online experience. The transfer speeds accessible on VDSL mean enormous photograph and feature transfers are effortless, leaving more opportunity to download feline pictures. It uses the same copper phone line as ADSL broadband but provides faster speeds and greater capacity than ADSL. VDSL has been seen at speeds of up to 70Mbps. Installation only takes a couple of hours but the consistency of the connectivity speed can vary depending on your property’s location, condition of the copper wiring being used and how busy the local copper network is at that particular time. 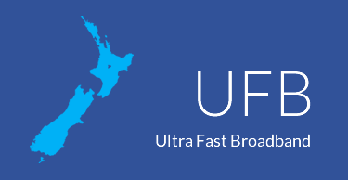 Fibre optic UFB offers an incredibly high speed and low latency broadband to your business. Our state of the art network is able to deliver a range of carrier grade UFB solutions, which can be tailored completely to suit your needs. Fibre optic network being rolled out in major towns and cities across NZ. Data is transmitted through the fibre optic cables at a much higher speed than copper phone lines. Therefore, data travels at a higher speed making the use of online programmes much easier and quicker. UFB is currently not available everywhere just yet but it is fast becoming accessible to the majority of New Zealanders. The new connection is more reliable and consistent with less latency and congestion. The network's speed will work up to 100Mbps and is fantastic for larger organisations or houses with multi-users. Installation can take up to a full day or a few small visits. An HSNS simply refers to a specially designed, customised inter-networking service, which can be delivered over copper or fibre cables. The symmetrical bandwidth (same data rates uploading or downloading) of an HSNS ensures optimum performance in a business environment, where services such as VOIP phones, WANs or file transfers place a high demand on both upload and download rates. HSNS is a good solid replacement for your old ‘one office’ connections. It has proven to be a worthy substitute for those remote locations that require high reliability. HSNS carries voice and data services to medium-to-large businesses. Depending on the bandwidth required, nzwireless provides HSNS over existing phone wires or fibre, with the latter carrying higher bandwidth. There are two types of internet connection: dial-up and broadband. Dial-up connects through your phone line. It's slower, ties up the phone line, and must be reconnected each time you use it. Broadband is a fast internet connection. Broadband can involve a range of different technologies to connect to the internet. It is much faster than dial-up, doesn't tie up your phone line, and is always connected. It’s super easy! When you order VDSL you can let us know the date and time you'd like to have it connected. It will require a technician to visit your property to install a master splitter and new master jack point in your home. Don’t worry – it may sound complicated but it’s not and should only take 1-2 hours. You’ll need to be at home during this time to make sure you’re happy with what’s going on. 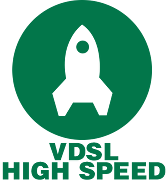 We have a range of VDSL plans and when you sign up to a 12 month contract standard installation. What is involved in an ultrafast broadband (UFB) installation? How long is it going to take? Do I need to be there? There are three steps to the actual physical installation process: (1) the Scoping Visit, (2) the Exterior Visit, and (3) the Installation Visit. You need to be home for the Scoping and Installation Visits so that our technician can discuss the process with you and agree the best location to fit the fibre equipment. The length of time and the installation process required will differ for each property. With Ultra Fibre 30, the service has the ability to deliver Fibre speeds up to 30mbps downstream and 10mbps upstream. Ultra Fibre 100 has the ability to deliver Fibre speeds up to 100mbps downstream and 20mbps upstream. Ultra Fibre 200 can provide 200Mbps downstream and 20Mbps upstream. Ultra Fibre Gigatown can provide an amazing 1000Mbps downstream.